Sam knew the emptiness of loss by heart. Friendships, food, shelter, security, even a leg to diabetes -- he’d forfeited them all, and more, during his years on the street. Only two things made Sam get up in the morning: Molly and Ollie. 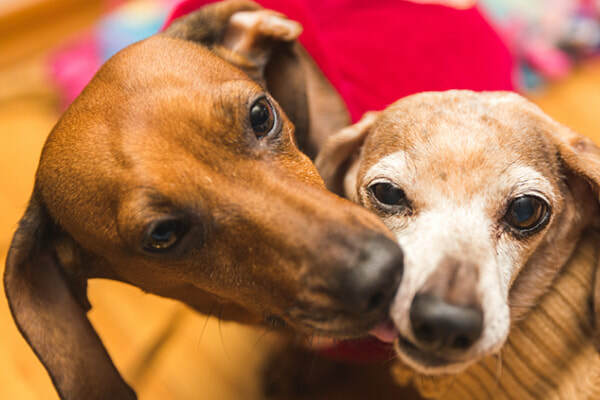 ​In their uncertain world, Sam and his dachshunds eked by, sharing sloppy kisses, soup kitchen meals and a big blanket. By sticking together, the family of three survived dark nights, harsh winters, hot summers and unwanted company. Sam’s story might have had a different ending if only a pet fostering service had existed in Tulsa’s network of homeless services. And now one does, with creation of a new Tulsa nonprofit, Pause4Paws. After years of unmet need, the Sams of the world no longer must make an either-or choice between their pets and their own well-being. Pause4Paws is devoted exclusively to arranging free, safe and temporary foster care for pets while their owners receive medical, mental health or substance abuse care. Volunteer today. Become a pet foster. By temporarily taking in the pet of a loving pet owner, you'll help remove a barrier that all too often keeps them from taking advantage of the critical care they so desperately need.